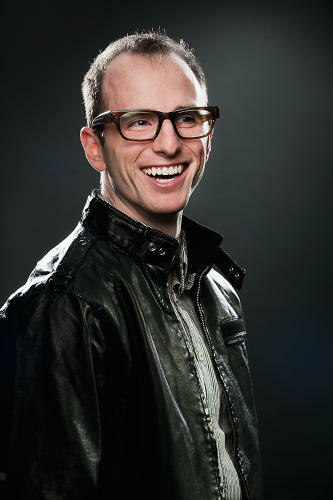 Joseph Gebbia Jr. was born on the 21st August 1981 in Atlanta, Georgia USA. Gebbia is best known as a co-founder of the website Airbnb, which offers short term living quarters and bed and breakfast accommodation. He has been an active member of the industry since 2006. Have you ever wondered how rich Joe Gebbia is? According to sources, it is estimated that Joe Gebbia`s overall net worth is $3.3 billion, an amount acquired mostly through the success of the Airbnb web site, however, in adding to his net worth, Gebbia is a founder of two more major website companies – Ecolect and CritBiz. Joe grew up in Atlanta, but later moved to Rhode Island, since Atlanta couldn’t satisfy his desire for knowledge. He enrolled at the prestigious Rhode Island School Of Design, from which he graduated in 2004 with a Bachelor of Fine Arts in both graphics and industrial design. He soon moved to San Francisco in pursuit of a bussiness career. Firstly he started working on his own projects, CritBiz, and later on Ecolect, alongside his friend from college Matt Grigsby. However, Joe started working as a designer for Chronicle Books in 2006, an independent publisher, but he still struggled to pay his rent. At that time he was living with Brian Chesky, another one of his college friends. They soon got the idea of renting their own floor space to other people. They found out that a design conference was coming to town, and together with their mutual friend Nathan Blecharczyk, they put up a website which featured photos of their apartment in hope that someone would contact them. Before long, they had their first guests, who stayed for a couple of days with them, and which earned them around $1,000. They immediately decided to invest into the further development of their website. In no time, Airbnb spread all over the world, making an impact on hundreds of thousands of people, as Airbnb`s services are now available in over 30,000 cities of 192 countries. With the creation of Airbnb, Joe`s net worth began to increase dramatically, as did the value of Airbnb – nowadays the company is estimated to be worth over $25 billion dollars, and Joe has 13% of its shares, which is the main source of his net worth. Currently, Joe plans to expand Airbnb services to private Fijian islands, which will also increase the worth of the company, as well as Joe`s overall net worth. For his accomplishments, Gebbia has earned numerous honours and awards; as of 2015, he is in the list of Americas Richest Entrepreneurs under 40 by Forbes magazine, at 7th position. Furthermore, Forbes places him at number 194 of the Forbes 400 list of billionaires. Joe won the “Thomas A. Edison Award for Innovation” awarded by RISD Industrial Design Department back in 2005, and in 2009 he was honored by Business Week: Top 20 Best Young Tech Entrepreneurs. Gebbia is also recognized for his philanthropic work; in 2014 Joe has donated $300,000 dollars to Rhode Island School of Design, in order to create a scholarship and endowment fund worth $55,000. As a result of his donations, Joe he is on a Board of Trustees on the RISD. Regarding his personal life, Joe has been dedicated to his career ever since the beginning of the Airbnb, and currently works as the Chief Product Officer (CPO). Little is known in the media about Joe`s love life, however, it is known that he is currently single.